Poggio Arioso, in the hills lying to the south west of Florence in the heart of Tuscany, is an Agro tourism centre in the grounds of a hilltop 17th century villa, next to a farm with a centuries-old wine cellar and olive press. It overlooks the western side of the city, with the Arno valley stretching away to the Nord. The farm is spread over three hills and valleys. Its location, its produce, its history and its architectural style make it typical of the Region. 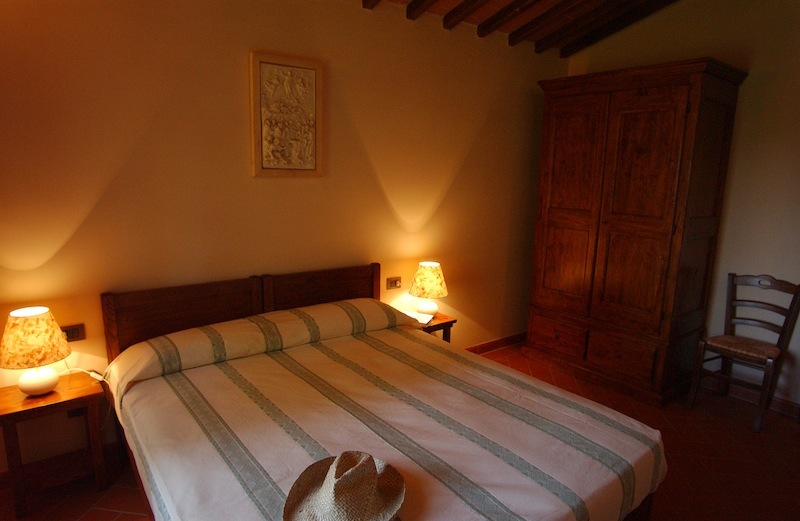 The recently refurbished guesthouse is in a small square at the highest point of Poggio Arioso, and was once occupied by the vineyard workers. All around are the Chianti hills which sweep gently down towards the city. Vines and olives have been cultivated in this area for centuries, in a simple and traditional way.